“To find some means of overcoming the natural indifference of mankind, and disposing them, in the quickest manner possible, and en masse, to learn and use the proposed language as a living one, and not only in last extremities, and with the key at hand. Esperanto did gain a great deal of popularity and there are still adherents today (an estimated 2 million people worldwide). 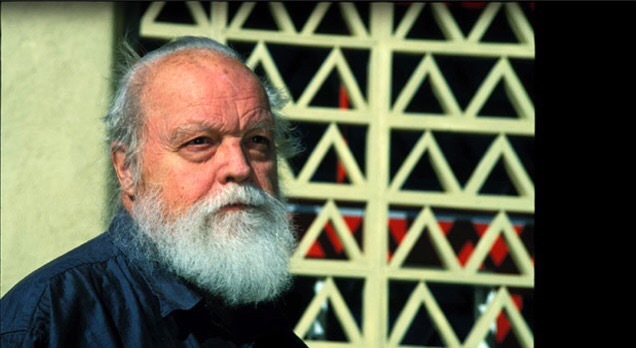 Lou Harrison was one of the users of this language (users are known as “Esperantists”). Curiously 1917, the year of Dr. Zamenhof’s death, is also the birth year of Lou Harrison, the principal subject of this essay. This patriarch of 20th century modernism was a composer, conductor, musicologist, performer, teacher, dancer, calligrapher, and Esperantist. 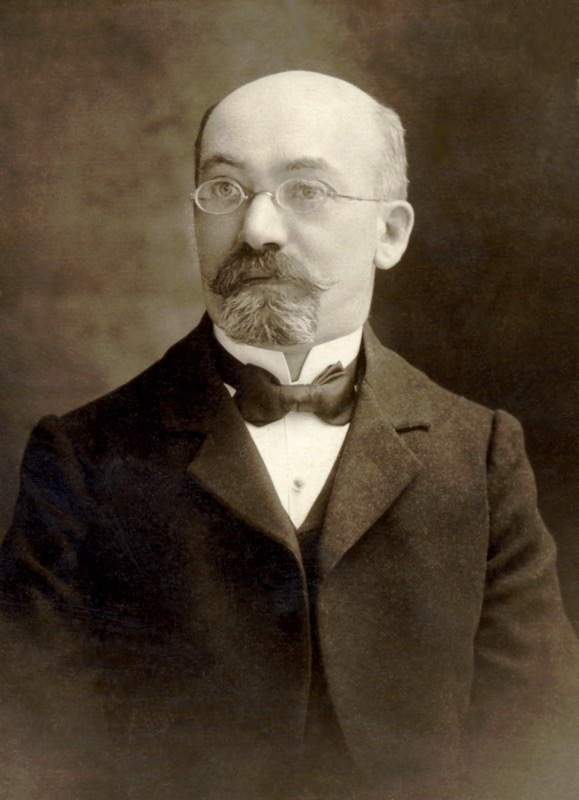 He used Esperanto to title many of his works and set some Esperanto texts to music. In his masterful big composition, La Koro Sutro (1972) translated portions of the text of the Buddhist Heart Sutra (into Esperanto) are set for mixed chorus and American Gamelan. Gamelan is an Indonesian mostly percussion orchestra which Harrison studied extensively following the example of pioneering Canadian ethnomusicologist and composer Colin McPhee (1900-1964). Gamelan was first introduced to western audiences at the 1889 Paris World’s Fair where composers such as Claude Debussy and Erik Satie heard the instruments and later incorporated some of those sounds in their music. (That Gamelan now resides in Chicago’s Field Museum of Natural History.) 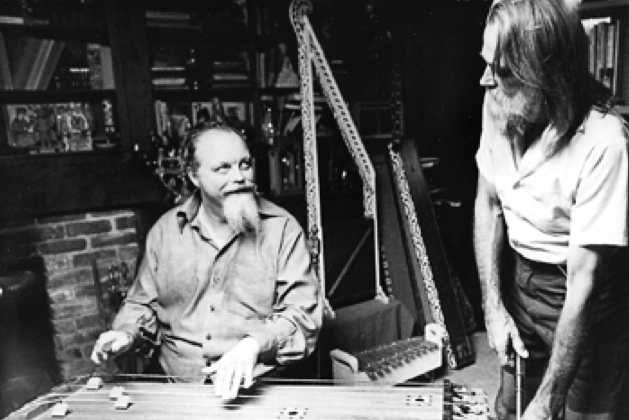 Harrison’s life partner Bill Colvig, an instrument maker, constructed a percussion ensemble which they called the American Gamelan to differentiate it from the traditional Indonesian ensemble. 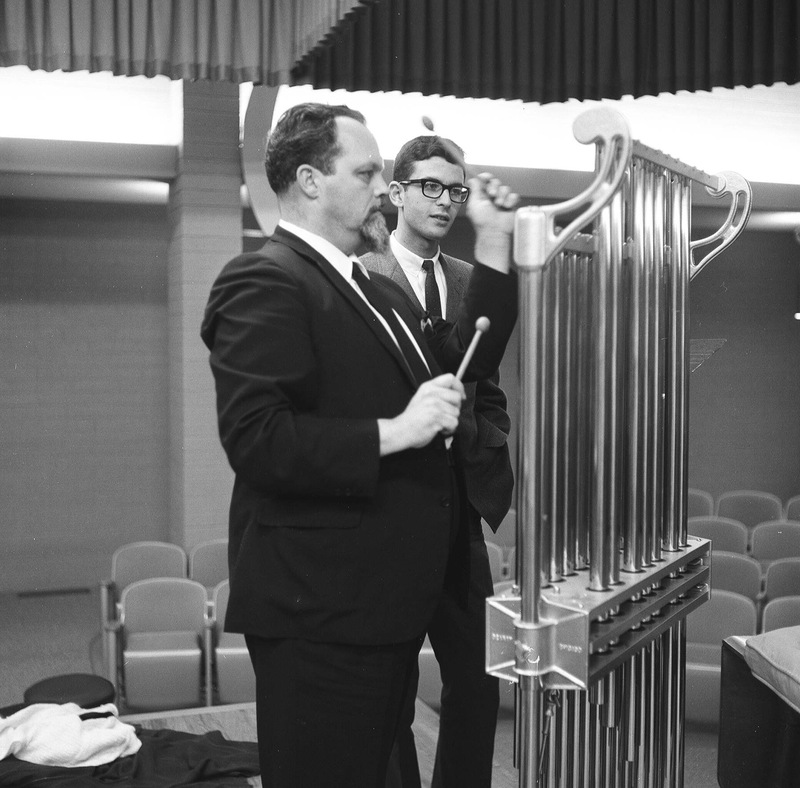 The American Gamelan, consisting of five percussion instruments (augmented with organ, harp, and chorus) was first used in the cantata La Koro Sutro. This composition is very much a synthesis of the composer’s musical and philosophical ideas. 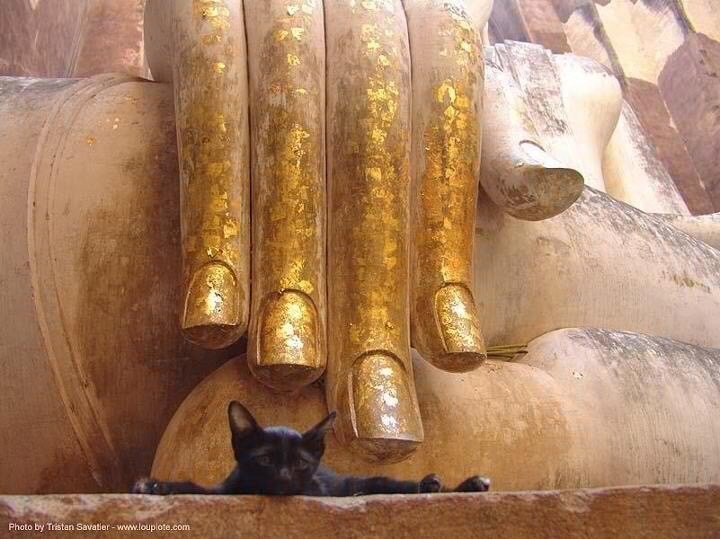 Harrison was an avowed pacifist and the Heart Sutra is a key Buddhist scripture which supports introspection and non-violence. Here he uses his expertise as an esperantist, his knowledge of Indonesian as well as western classical music to create one of his largest and finest works. It is a testament to Harrison’s influence that this is the fourth performance of La Koro Sutro in the Bay Area. It was written for an Esperanto conference in Seattle in 1972 with a translation by fellow esperantist Bruce Kennedy and was premiered that same year at Lone Mountain College in San Francisco (now part of the University of San Francisco). Additional performances (available on You Tube) were staged in Berkeley in 1973 and again in 2012. This is truly an American masterpiece as well as a prayer for our times. The performances will take place in the Mission San Francisco de Asís Basilica, better known as Mission Dolores. The mission was founded in 1776 and the still active small adobe church next to the Basilica, built in 1791, is the oldest surviving building in San Francisco. The much larger Basilica next to the adobe church (and the actual location of said concert) was dedicated in 1918. For the record, a Basilica is a reference to both architectural and spiritual aspects of any church so designated. In the Catholic Church a Basilica is a pilgrimage site, a place to which the faithful travel in a spiritual quest. I don’t believe it is too much of a stretch to view this event as a musico-spiritual pilgrimage open to all ears and minds, and hearts. You won’t come out speaking Esperanto but you will never forget what you’ve heard. 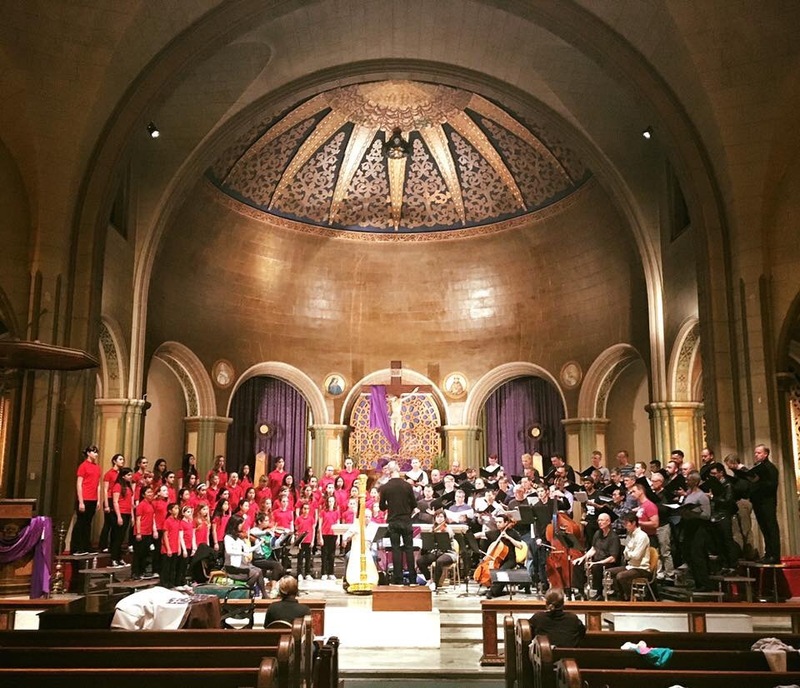 The Mission Dolores Choir, Resound, Jerome Lenk, organ, Meredith Clark, harp, and the William Winant Percussion Group conducted by Nicole Paiement. Saturday, May 20, 2017- 7:30 p.m.